All the game modes revealed so far. Our Super Smash Bros Ultimate Game Modes guide contains a list of all the game modes in Super Smash Bros Ultimate and will be expanded on with more detail once the game has launched. 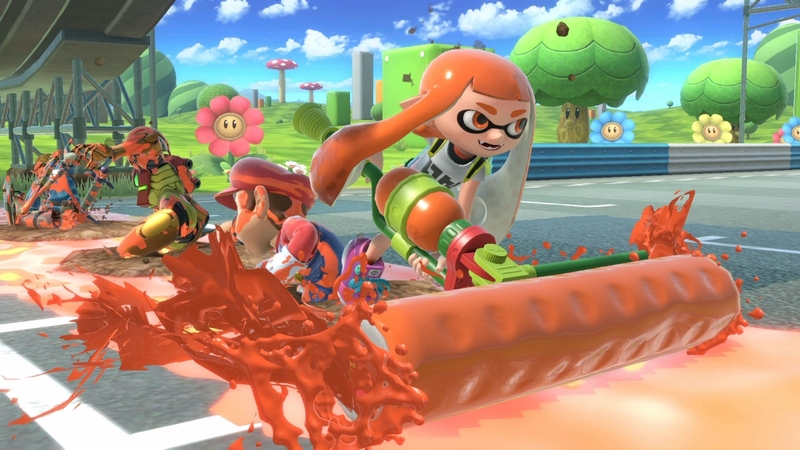 It wouldn’t be a Super Smash Bros game without a slew of game modes, both serious and wacky. In Ultimate, there’s something for everyone. Story mode now takes place in the “World of Light”, and has you exploring an overworld type map with branching pathways, unlockables and more. There’s even a special Tournament mode that caters for groups of friends to get their game faces on. Of course, there’s also a heap of Challenges to complete as well. Information is currently a little thin on the ground, but we’ve gathered a list of all the game modes which have been announced and highlighted them below. Once the game has launched and we’ve had a chance to dive in ourselves, we’ll expand on them all in more detail. We also fully expect some secret challenges and special game modes hidden away in the game. Again, we’ll pick these out once we’ve got more info! Below we’ve listed all the game modes we’re currently aware of, alongside a little info on what to expect. The game’s story mode and one that’ll drop you on an overworld map as Kirby. You’ll choose between branching paths, take on fighters and slowly uncover the map as you progress. As well as progressing through a large map, you’ll also power up your character and build your fighting roster along the way too. You’ll unlock fighters, collect Spirits, and put points into an enormous skill tree. Expect plenty of crazy boss fights and an experience that’ll absorb many, many hours of your life. Imagine a bounty board of 10 randomly selected Spirits, and the option to fight them all. Manage to beat a Spirit and you’ll acquire it for use, so it’s a mode which you’ll want to return to periodically as it can really help power up your fighters. Spirit fights crank up the crazy, so expect to fight 5 Kirby’s all wielding star wands, or one enormous King Dedede who’s really slow but deals massive damage with every swing. Class Smash Bros. Select your stages, set the rules and play with up to eight others. Create a team of 3 or 5 fighters, and then it’s a case of taking on your opponent’s squad one by one in a multi-fighter battle. This is sure to be a favourite of ours. One for those with a competitive streak. This lets you organise a custom tournament for up to 32 players in total! You can even select the type of brackets you’d like for the tournament. Perfect for a friendly office tournament this one. A 1 vs 1 affair where each player has to select a new fighter for each round. If a selected fighter wins, it can’t be picked again. Those who’ve mastered a variety of characters are sure to come out on top in this mode. Choose your fighter and smash through increasingly difficult enemies for great rewards. A totally customisable space where you can practice your moves on a dummy, analyse stats and so much more. Smash Bros’ horde mode equivalent. In Mob Smash you’ll fend off waves of opponents for as long as you can survive! Take on various challenges from a challenge board and unlock unique rewards for your efforts. Here’s one example we’ve seen: “As Incineroar, deal 40% or more damage to an opponent with a single attack”.